Chrome Enterprise was built to help IT admins provide an environment where workers can collaborate and be more productive by using fast, secure cloud-first tools and devices. At Next ‘18 we’ll be talking about the advantages of enabling a secure, connected workforce in breakout sessions that cover enterprise content for Chrome OS and Chrome Browser. Here are seven you don’t want to miss. How do you give 70,000 employees technology that helps them be productive any time, any place, but also work securely? Google's IT team faced this challenge. In this talk, you'll hear directly from our IT staff about our own models for device deployment, and get useful tips for your enterprise. Chrome security project manager Emily Schechter will talk about Google’s commitment to improve the safety and security of the internet for all users. Join this session to understand browser programs, standards and security best practices driven by Google, and their impact on enterprise web security. To drive competitive advantage, today's workers need platforms optimized for reduced downtime and maximum collaboration. Our own Jason Wong will discuss how IT leaders can leverage Chrome OS as a secure platform for their users—whether integrated into their existing stack or paired with G Suite for maximum results. Already using G Suite in your organization? This session will help you get the most from pairing G Suite with Chrome. 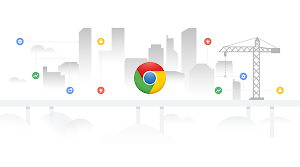 Join some of our top customers to learn more about how Chrome Enterprise and G Suite together have helped to not only transform their technology infrastructures, but have helped them to achieve smarter, safer collaboration in a cloud-first world. As organizations evolve to keep up with digital transformation in the workplace, employees are increasingly accessing information, collaborating, and serving their customers differently. To help, they’re turning to cloud-based apps to do their job—both inside and outside of the office. Mike Daoust, the director of the Chrome Enterprise go-to-market team, will discuss how businesses can prepare themselves for this new age of the “Cloud Worker.” Philippe Benoit, Director of the SATAWAD Program at Veolia, will share the stage with him to talk about how his company is leveraging Chrome Enterprise to securely connect their workforce to the cloud. Learn how Chrome Browser's upcoming enterprise capabilities can strengthen your company’s endpoint security strategy. 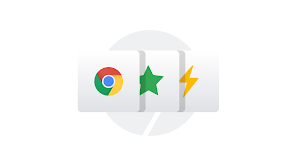 Get a sneak peek into upcoming policy enhancements and new options for managing your Chrome Browser users across different platforms. You’ll also get a recap of recent announcements, so you can ensure you’re optimizing your ability to manage Chrome Browser in your environment.